We carry some of the top rated International Air Fresheners around. 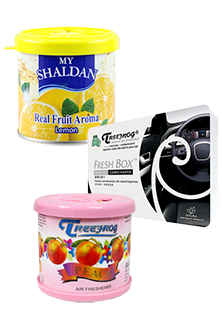 We have brands such as My Shaldan, Treefrog, and L & D air fresheners with wonderful scents. Come and get some of our famous air fresheners and their most desirable scents. We have the lowest prices in the nation. GUARANTEED!